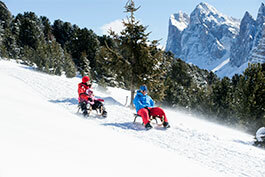 Selva di Val Gardena/Dolomites is an internationally-renowned holiday area. 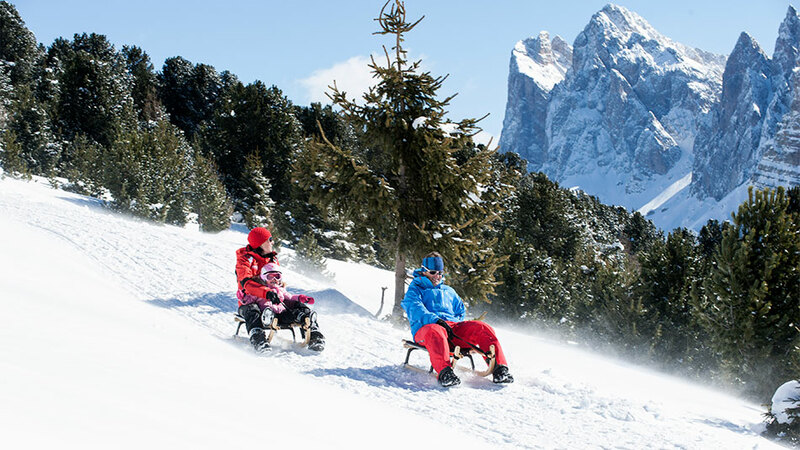 The idyllic mountain village surrounded by the mighty Sella Group and the majestic landmark of Val Gardena, the Sassolungo, is located at about 1,600 metres in altitude and is highly esteemed by travellers from around the world. 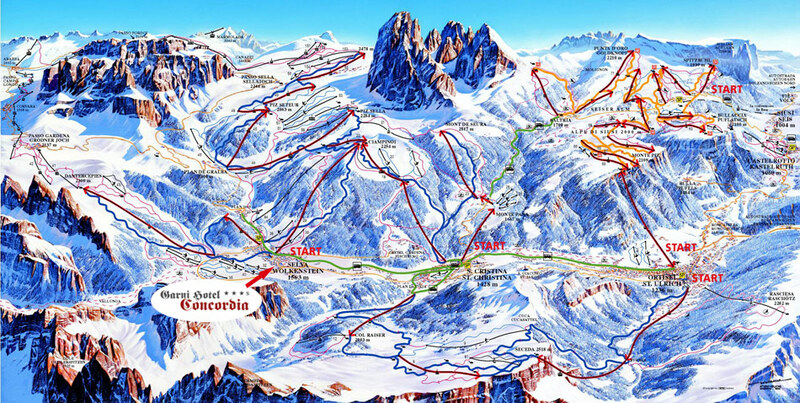 In the winter, the resort offers a ski arena with excellent slope conditions at the highest level and snow from early December to Easter. 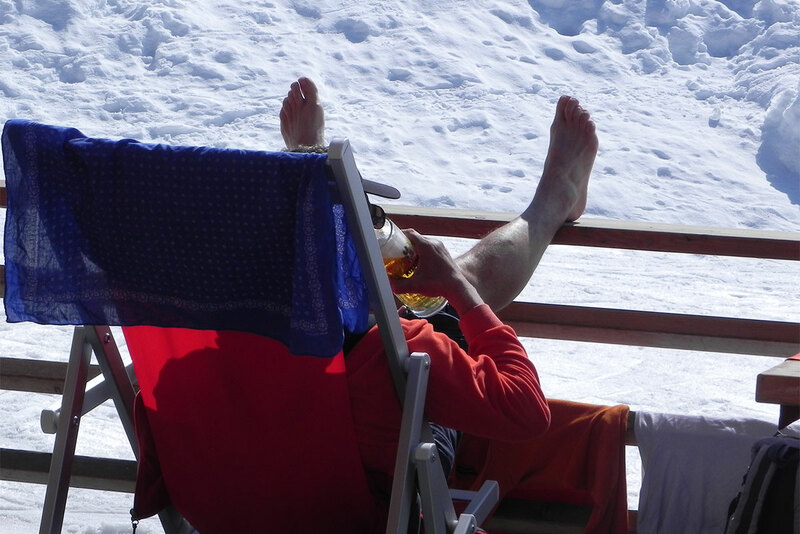 With a total of 175 km of slopes and 79 modern ski lifts, you can jump quickly and easily into your well-deserved ski holiday! 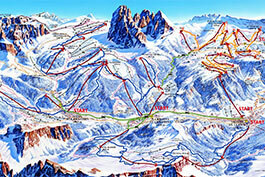 Moreover, Selva has direct access to the world-famous Sella Ronda (from B&B Hotel Garni Concordia, 50 metres to the Nives ski lift/start of the Sella Ronda) and the Dolomiti Superski ski area offers more than 1,100 kilometres of slopes and more than 400 modern lifts - a new ski area for every day of your holiday. 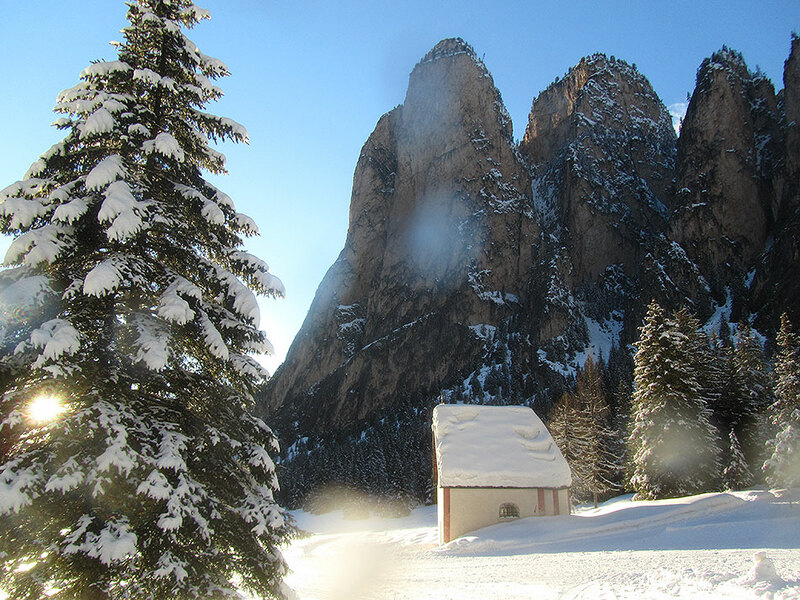 Cross-country skiers, snowboarders, ice skaters (free tickets for the hockey games available for our guests), lugers and passionate hikers will get their money's worth at the breath-taking winter scenery of Val Gardena. Enjoy exciting winter days with a spectacular panoramic view of the Dolomites before relaxing in the new B&B Hotel Garni Concordia wellness oasis "Salus Concordia" - your dream accommodation in Selva di Val Gardena. 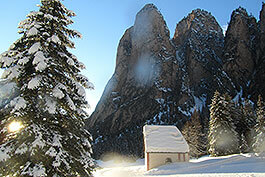 • The weekly programme "Selva Active" invites you to actively experience the nature around Selva Gardena, even in winter: torch-lit walks, cosy evenings in huts, snowshoe hikes, winter hiking, climbing courses. Free: Entry into the nearby ice rink, including skate hire and ice hockey matches. A wide variety of options at your disposal! Hotel ski pass service: You can order your ski pass from home online and pick it up at your check-in directly.